We take lots of time and effort to plan post-race menus that appeal to our runners' various taste preferences and food sensitivities. With food, there's no pleasing everyone all the time, but we have a lot to offer to help satisfy your refueling needs tomorrow. 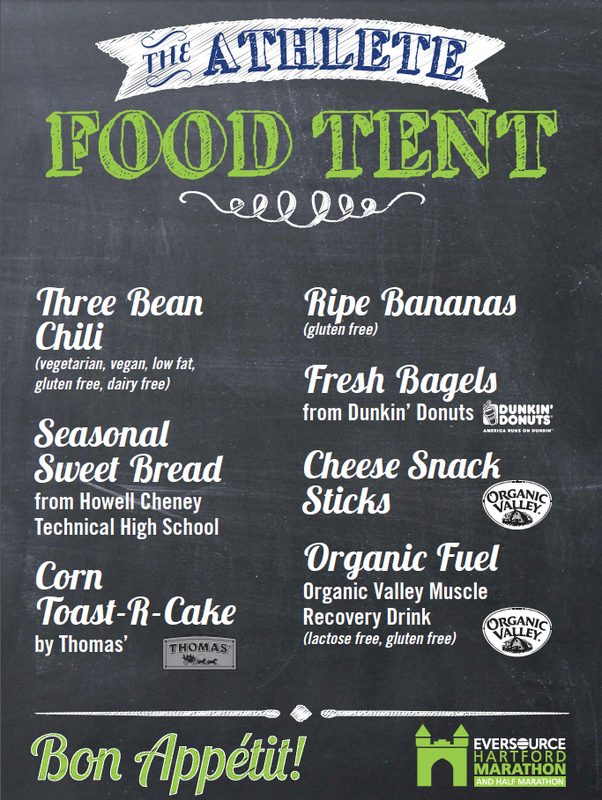 Check out the menu in the athlete food tent here. 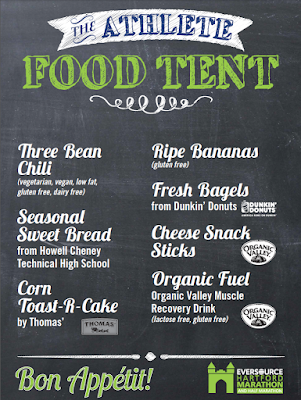 Bring the food ticket from the race bib to get into the food tent. Please note, spectators and guests are not allowed to purchase food from this location. Another post-race highlight is always the Harpoon Beer Garden. Athletes 21+ with ID receive one free beer with the beer ticket from their bib. Souvenir pint glasses and beer will also be sold in the Beer Garden. And for your race night celebrations, many local restaurants are providing discounts and offers for runners. Please visit The Extra Mile information linked here for promotional offers. We want your friends and family to enjoy your race experience too! 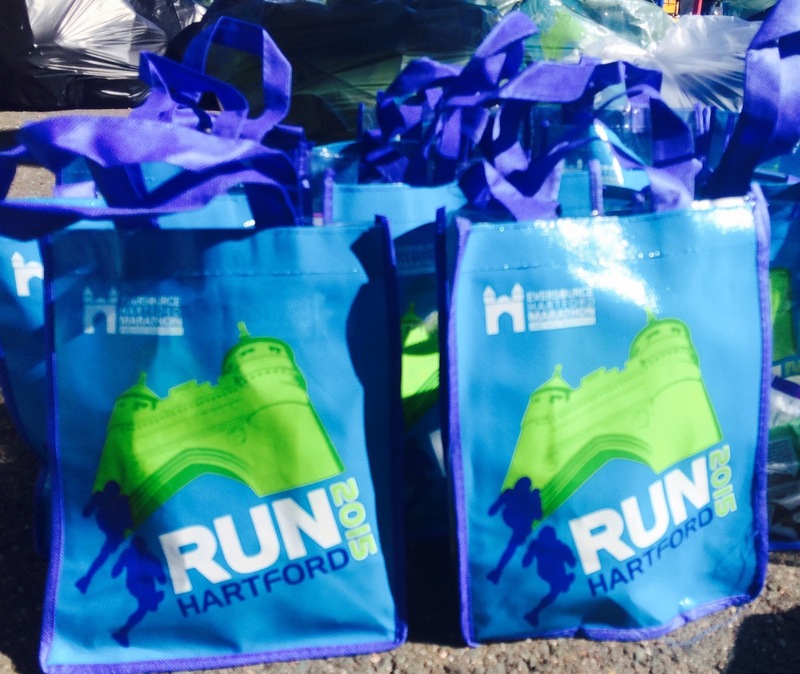 We’ve collected some tips to share with spectators who want to track runners and catch up with them on the Eversource Hartford Marathon and Half Marathon courses. Don’t wait until race morning to sign up for athlete tracking, although it’s simple to do, best to plan ahead. Get details to set up athlete tracking here. Depending on when you are coming into the downtown area will determine how best to arrive (Parking early to stay downtown? Coming in later to just catch the finish? Parking and trying to drive to other areas?). There’s no one right way to direct spectators, so planning ahead is key. Road closures and parking info will help spectators plan their morning. Most spectators don’t want to miss the spectacular start on Capitol Ave. (follow runner directions for that but be mindful of road closures if you're going to try to leave the area by car). The energy and excitement is inspiring….the National Anthem with its short pauses hushing thousands of runners, and the celebration that ensues when the start horn sounds. If you are coming in to watch the marathon after the start, our suggestions for arrival/parking follow, based on road closures. Use the highway system to enter Hartford - either I-84 or I-91. Use highway exits north of Asylum Street or south of Capitol Ave.
Tracking marathon runners (course map here), your first stop from the start is Mortensen Riverfront Plaza at the Founders Bridge. Located just a half mile from Bushnell Park, you can quickly walk there before your runner gets to mile 4 on the riverfront path. Stay put there to catch them again at mile 6 as they leave the city on the bridge. Marathon runners will meet "The Wall", mile 20 on Old Main Street in South Windsor. The phenomenon of “The Wall” evades easy definition, but runners know it when they hit it. Their pace often slows - some runners say that it feels as though their legs had been filled with lead or they can’t feel their feet. Muscle coordination and thought processes get shaky, and self-doubt creeps in. Runners need cheering spectators at this point, but plan ahead to get their by car. Your best access is from Route 5, which runs parallel to Old Main St. Park on the side roads that connect through to Main St to catch your runners in this stretch. Then, back to Mortensen Riverfront Plaza at the Founders Bridge, runners will be encouraged to finish strong as they cross back into the city at mile 25. This location is the High Five Mile, where we’ve got extra enthusiastic supporters helping to push runners to the finish. Spectators quickly head back to Bushnell Park to watch their runner cross under the Soldiers & Sailors Memorial Arch to the finish. Runners will then be routed around the corner onto Elm Street to enter the Finish Line Expo in Bushnell Park. Course info and map for the half are available here. A great stop by car to catch half marathon runners is by the Mercy Community Center water station on Steel Rd in West Hartford. Set up around mile 8, there is plenty of parking on the side streets off of Steele Road to park and join the cheering section there. You can catch half marathoners again around mile 10 in Elizabeth Park off Asylum Avenue. Then, head back to Bushnell Park to catch runners under the Soldiers & Sailors Memorial Arch. If you lose your loved one, you can catch up at the Family Reunion area in the Park, check the map here. Grab a bite to eat from one of the food vendors on Elm Street or check with the Info tent for recommendations on local restaurants and coffee spots. Each year, we try to improve or add a little something extra for our runners – this year we’re really working hard on the weather!! Stay tuned on that...but we can guarantee that we’ve got a great race experience in store for you. Pace teams – Pace leaders are offered for the full from 3:00 to 5:30, and for the half from 1:30 to 3:00. This is a great free service to help you achieve your goal time. Pacer leaders will wear bright yellow pace shirts and hold their pace signs for the start. See photos and learn a little more about their race day strategy and pacing style. 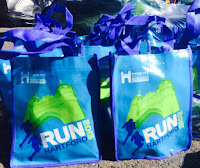 Mobile App – Download today to put all race day resources at your fingertips and on the go with you – course maps, start and Bushnell Park maps, parking info, events schedule, results and more. Athlete Tracking services – Let friends and family follow your race from anywhere they are! Sign up for tracking to have updates automatically sent to your designated social networks or via Text message when you cross tracking points on the course. Freedom Point, presented by Bank of America – Special hospitality venue for active military, reservists, veterans and their families. Just show military ID to get in and enjoy some pampering. Psyching Team – Let the Springfield College Running Psychology Team help with your mental readiness. They will be wearing blue team hats at the Expo, on the course and post-race. The team is available to provide performance enhancement strategies for goal-setting, positive self-talk, energy management, relaxation techniques and positive affirmations to help you feel your best! Chapter 126 Zone – Physically challenged athletes can utilize this gathering place in Bushnell Park for pre- and post-race needs. It’s wheelchair accessible allowing athletes to store regular wheelchairs and stage their racing chairs. We will have handicapped accessible portalets and baggage service for athletes. HMF FitKids – Children aged 2-11 can get in on the race action! Distances are offered from 1/4 mile, 1/2 mile and mile and each child gets a finisher medal and t-shirt. Note, children can be registered in advance or on race day. The Extra Mile – So many great restaurants and attractions are offering runners deals and discounts around town. Please check the link and support local with your pre-race plans or post-race celebrations on Saturday night! We’re committed to supporting young runners - our future elites! We recognize the importance of high school Track & Field programs in encouraging and training young runners. At last week’s Eversource Hartford Marathon kickoff reception, three local high schools were honored for their exceptional programs - each school was provided a $1,000 donation to support their program's continued success. This spring, the team from Tolland won the outdoor track State Open title by two points against Windsor to become the first girls team to win all three State Open titles in the same school year. The Eagles won the State Open title in cross-country over Glastonbury, the indoor title over Wilbur Cross and the outdoor title with 52 points against the Warriors. The State Open titles in both indoor and outdoor track were the program's first. It was the Eagles' second straight State Open title in cross-country. Tolland was a perfect 6-for-6 in state championships, which includes three class titles. Team standouts Caitlin Swanson, Julia Sprout, Kat DeLoreto, Karissa Laramie, Taylor Hall and Hayley Collins; and coaches Corey Bernier, Judi Lafontaine, and Brandon Elliott accepted the donation on behalf of their program. The Windsor team spent the first two months of the season dealing with injuries, but it all came together at the end of the outdoor track season. The Warriors peaked at the right time, winning the Class L title over Wethersfield and the State Open championship over Danbury. It was Windsor's second State Open title since 2012 and fifth straight Class L title. Windsor had three of the best relay teams in the state (4x100, 4x400 and 4x800) and the best 400-meter runner, Courtney Rush. The Warriors won the New England title in the 4x100 and were second in the 4x400. Windsor athletes Kyshawn Bonner, Timothy Epps, and Jakwan Simmons; and coaches Kelvin Kearse and Ronald Wilson accepted the donation on behalf of their programs. The Weaver track program is one of the smallest in the state, but that hasn’t held them back. Last winter and spring, the team found its stride with help from sophomore Mark Doyley, who became the fastest runner in the state. After winning both the 100 and 200 at the State Open during the outdoor track season, he finished the year with a New England championship in the 200 with a time of 21.16. Doyley was also the best 55-meter runner during the winter season. Coach Andre Shreeves, Doyley, and teammate Tianna Robinson attended the kickoff reception to accept their donation. Course support - important info! We’ve been talking up new energy gels offered on race day, but have been forced to make a last-minute change we want you to be aware of. Due to an unexpected inventory issue, Boom Nutrition is unable to supply the required amount of Carb Boom! We have purchased GU energy gels for the course, giving runners the option to choose. Each location listed below will have Carb Boom and GU, and support bicyclists will try to carry both products for on-demand need. 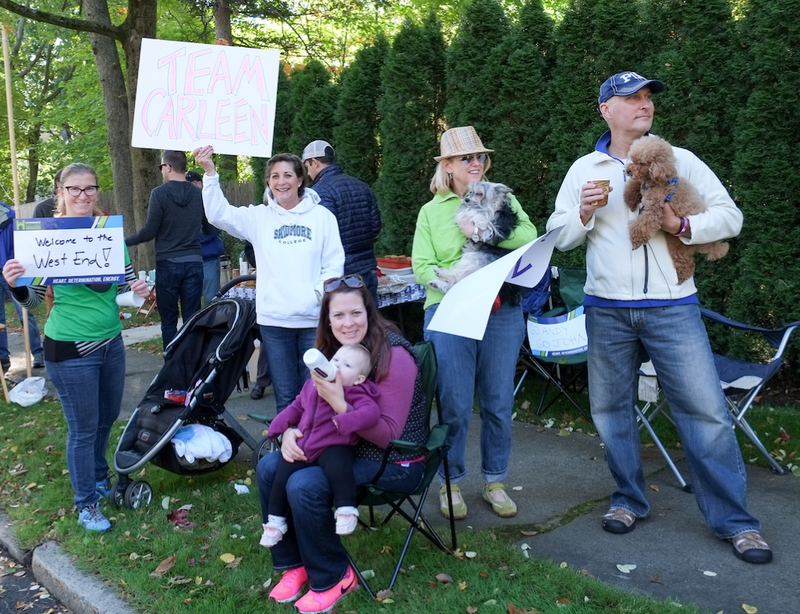 Tasty treats and motivation wait for you at The Candy Stand on Mile 22 of the Marathon and Mile 10 of the Half. Candy Stand Volunteers will be cheering and handing out dark chocolate, Jolly Ranchers®, "fun-sized" Snickers® bars and a host of mini-sized sugary delights for race participants to munch on as they head toward the finish line. Flat cola and orange soda will also be on tap. Please don’t litter along the course. Residents and communities welcome us each year, please respect their roads and homes and dispose of cups in receptacles provided. Do not throw your energy gel packs on the road. They cannot be picked up by street sweepers and we have to pick each one of those gooey packs up by hand. Be kind and discard them in the containers provided.